NO PLANS FOR CHRISTMAS / NEW YEAR'S EVE / NEW YEAR? WE ARE OPEN, CELEBRATE WITH US! NOCH KEINE PLÄNE FÜR WEIHNACHTEN / SILVESTER / NEUJAHR ? 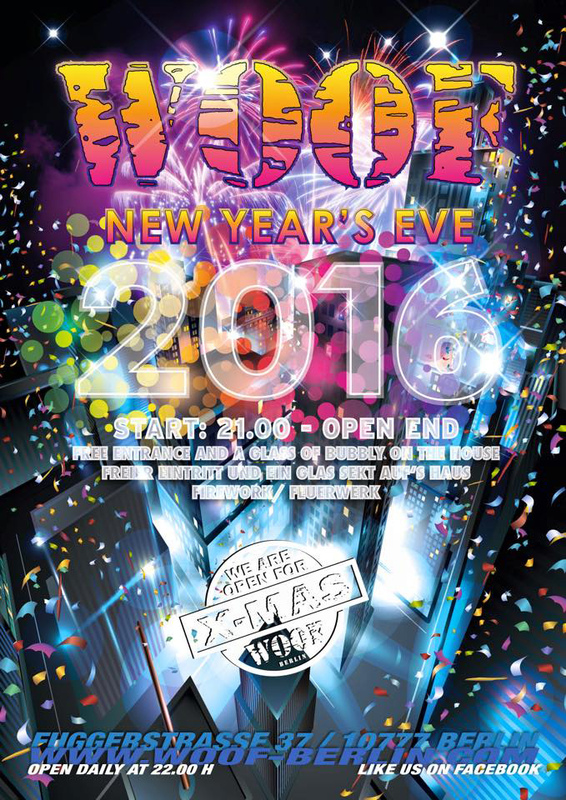 DEC. 30th, START: 22.00, "PREVIEW PARTY"
"SILVESTER PARTY" / "NEW YEARS EVE"
"NEW YEARS DAY" / "NEUJAHRSTAG"